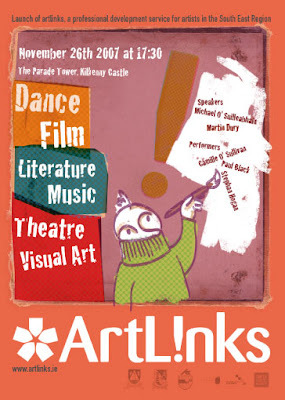 Magazine Campaign for the launch of Artlinks (www.artlinks.ie) an artists community project developed by the Wicklow, Carlow, Waterford, Wexford and Kilkenny Arts Offices. I've been involved in the project since its conception while in márla. And now I am very happy to continue being able to collaborate in it. It is a fantastic opportunity for the artists community to network, interact and know what's happening. Posted by Alé Mercado at 11:58 a.m.